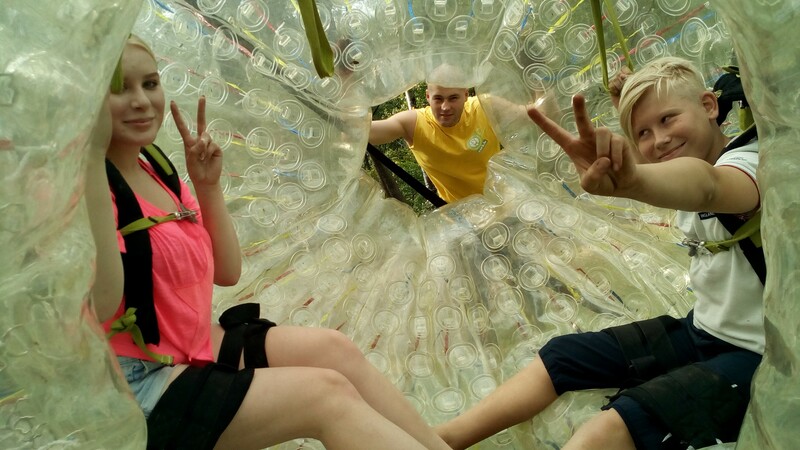 Find out how much fun a giant transparent ball can be at Zorbing in Riga with Zorb.lv, an open-air attraction that offers entertainment for all ages. You can go zorbing down a hill or on water, or try your skills on a pogo stick, sand skis, unicycle, or skate cycles. This venue is ideal for family days out, stag/hen/birthday parties, or corporate events. Additional activities include laser tag, a good alternative to paintball. The operator can deliver equipment to a location of your choice--onsite servicing is included in this option. Contact the company in advance to schedule your visit and/or rent equipment for a special event. For travelers who use our international travel planner, Riga holidays become easier to arrange, with trips to the Zorbing in Riga with Zorb.lv and other attractions mapped out and timetabled. Zorb-it pumped air ball in the ball (diameter 3.2 m), where the balls are separated from one another. You can get there through the side holes. Getting inside the globe, you secured special straps to his wall and in a moment, you can start a giddy descent from the mountain!))) It is not possible to describe the sensation. Although no! ... It's like when you get into a big wave with a head and twists you up and down! ... Adrenaline guaranteed!. ..
Every day, we help thousands of travelers plan great vacations. Here are some tips on how to use your Listing Page to attract more travelers to your business - Zorbing in Riga with Zorb.lv. Promote your permanent link - https://www.inspirock.com/latvia/riga/zorbing-in-riga-with-zorb-lv-a277689595 - on your website, your blog, and social media. When a traveler builds a plan from this page, the itinerary automatically includes Zorbing in Riga with Zorb.lv. 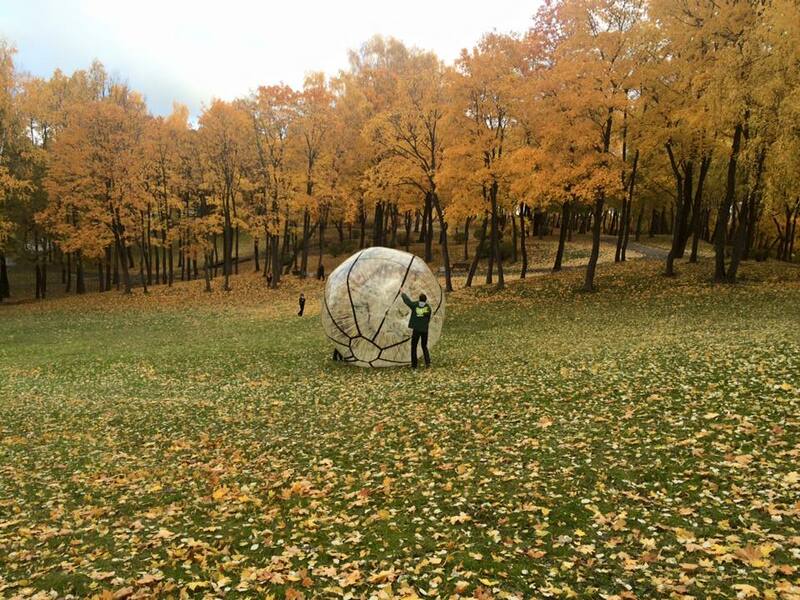 This is a great way for travelers looking for a great vacation in your city or country to also experience Zorbing in Riga with Zorb.lv. Promoting your link also lets your audience know that you are featured on a rapidly growing travel site. 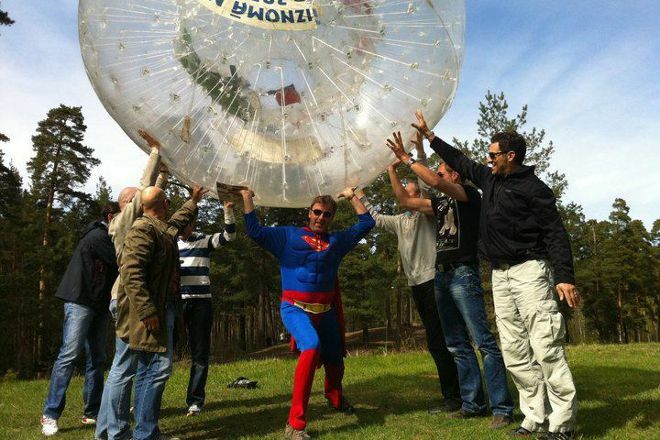 In addition, the more this page is used, the more we will promote Zorbing in Riga with Zorb.lv to other Inspirock users. 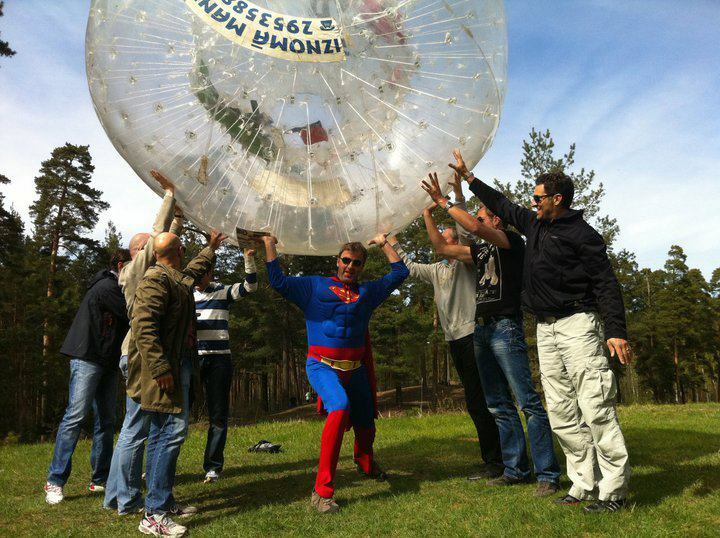 For best results, use the customized Trip Planning Widget for Zorbing in Riga with Zorb.lv on your website. It has all the advantages mentioned above, plus users to your site can conveniently access it directly on your site. Visitors to your site will appreciate you offering them help with planning their vacation. Setting this up takes just a few minutes - Click here for instructions.